We offer meditation retreats in the style of the Dharma Drum Lineage of Chan Buddhism, balancing serious, strict practice with flexibility and gentleness. While maintaining the spirit of traditional retreats held in Chan monasteries of ancient China, our retreats also incorporate a variety of activities suited to contemporary people’s needs. Our retreats are designed to minimize all potential distractions, allowing you to wholeheartedly devote your energies to using the method of practice. Daily interviews with the teacher are available for personal guidance regarding use of the method. Dharma talks are given daily to elucidate the details of investigating one’s mind. Retreats are conducted in Noble Silence, which supports your meditation practice by limiting mental distraction. In addition to refraining from conversation, Noble Silence also means no reading, writing, texting, email, phone calls, music playing devices, or internet. The retreat leaders will speak when they need to direct you, and of course the teacher speaks when giving Dharma talks or interviews. When other communication is necessary, short handwritten notes are allowed, or you may speak quietly to one of the retreat supervisors. To accommodate the differing needs of experienced and newer practitioners, we offer both intensive and non-intensive retreats. We also offer non-intensive retreats for people newer to the practice. 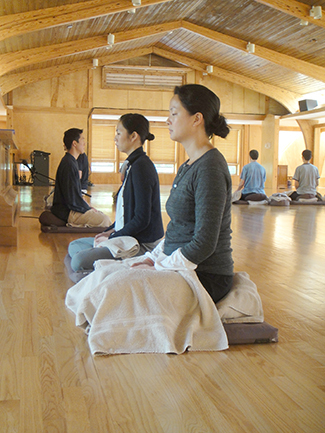 On non-intensive retreats, the sitting periods are twenty to thirty minutes. Wake-up time is not as early as on an intensive retreat. Basic meditation instruction is given (on an intensive retreat, participants are expected to already know the basics). Our longer intensive retreats focus on advanced Chan methods, such as silent illumination or huatou. 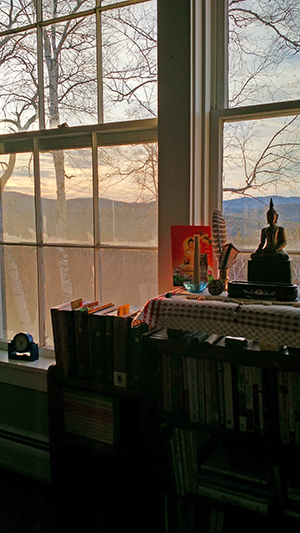 Our non-intensive retreats focus on preliminary methods, such as counting or following the breath, or recitation. Read through the retreat desciptions listed below to see which retreat might be suitable for you. The Dharma Drum Mountain lineage has been offering retreats in America for over forty years, and is founded on traditions that are centuries old. Our retreat leaders have a deep understanding of what works best for people training in the Chan tradition. Sometimes people apply to one of our intensive retreats before they have sufficient experience to be accepted. Full of enthusiasm for the benefits they already receive from meditation practice, they may be imagining a week of bliss. But longtime practitioners know the rigors of sitting many long periods, day after day. For most, the discomfort increases each day for the first three days. 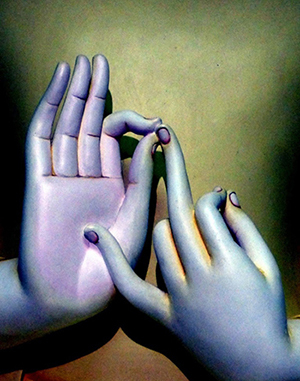 After that, if one is practicing correctly, the experience may indeed become blissful. But training and conditioning are required. 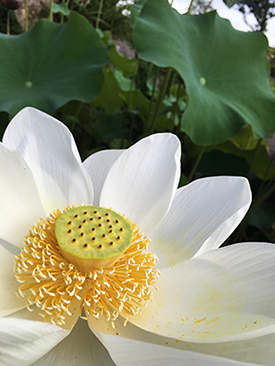 A new practitioner experiencing the rigors of an intensive retreat for the first time, may fixate on the physical discomfort, instead of concentrating their mind on the method of meditation. Unconditioned to long periods of seated meditation, they probably will not be able to keep their body still. A beginner may not have sufficient self-awareness to move gently in the Chan hall, and their movements may disturb others. They will not be familiar with the protocols and rituals of an intensive retreat. All of these factors may result in an unpleasant experience, which might discourage a person from coming on retreat again. In order to avoid discouraging the newer practitioner (and to maintain the quality of our intensive retreats for the advanced practitioners), we carefully screen all applicants for suitability. If you have attended comparable events at other Buddhist centers, this may also qualify you for acceptance to our intensives. We will work with you personally to determine your best option. In addition to sessions of seated meditation, this retreat features interactive workshops such as: The Art of Sitting, The Art of Walking, The Art of Questioning, The Art of Self-Massage, The Art of Perception, and The Art of Listening. Give your self one day for meditation — a day to still the mind. Learn how to apply methods of meditation and mindfulness while sitting, walking, exercising, working, eating, and all other activities. The simple and relaxed schedule allows you to settle your mind while at the same time allowing you to maintain a constant silent awareness of your every activity. This silent retreat also offers brief Dharma talks, guided meditations, and a review of basic meditation methods such as breath awareness and total mind-body relaxation. To make the most of this opportunity, it is strongly recommended that you first attend a beginner meditation class. Dedicate your weekend to practice, engaging in a relaxing schedule of mindful activity from Friday evening to Sunday afternoon. Harmonize your body and mind, balancing all of the five aspects of diet, sleep, body, breath, and mind. Either in stillness or in motion, cultivate a clear and stable mind amidst all that you do. This is the very essence of Chan practice. This non-intensive retreat offers a more relaxed schedule than our intensive retreats, and offers basic instruction in the methods of meditation. To make the most of this opportunity, it is strongly recommended that you first attend a beginner meditation class and a one-day retreat. 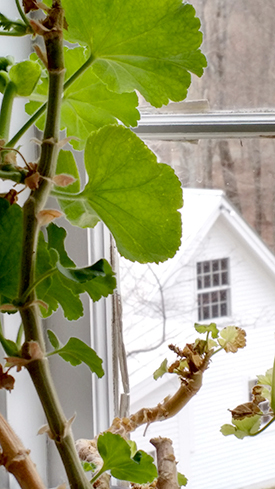 Our weekend relaxation retreat follows a gentler schedule than our intensive retreats. Wake-up time is 5:00 pm, and meditation sitting periods are twenty to thirty minutes. In addition to sitting meditation, the retreat also includes mindful work practice, walking meditation, chanting, and gentle yoga exercises. Interviews with the teacher are available for direct guidance regarding the method of practice, and daily Dharma talks elucidate the details of investigating one’s mind. This weekend retreat is an opportunity to strengthen your practice by sitting together with other experienced practitioners. It is also excellent preparation for our intensive retreats. It is recommended that you receive basic meditation instruction before attending this retreat. “Who am I?” Thoroughly confronting this question can take us directly to the center of our being. Over the course of this five-day retreat you will investigate the question “Who am I?” within a standard retreat framework, using silent sitting meditation in conjunction with the communication exercise, a unique method of verbal inquiry. This format allows you to use words to go beyond words and thereby enter the main gate of Chan. The intensive nature of this process of inquiry drives each practitioner into a self-presentation that is difficult to experience in other ways. To guide and support you, personal interviews with the teachers are offered regularly throughout the retreat. With whole-hearted engagement this retreat may lead to the acceptance of self, the experience of “self at ease,” and may even provide an opportunity for direct insight into the ground of being. This retreat was developed by the Western Chan Fellowship (WCF) founded by the late Dr. John Crook, an English Dharma heir of Master Sheng Yen. The retreat is designed for individuals who have received a Western education, and are currently led by Dr. Simon Child, Rebecca Li, and the WCF faculty. In addition to sitting meditation, this intensive retreat also includes mindful work practice, walking meditation, chanting, and gentle yoga exercises. Interviews with the teacher are available for direct guidance regarding the method of practice, and daily Dharma talks elucidate the details of investigating one’s mind. This weekend intensive is an opportunity to strengthen your practice by sitting together with other experienced practitioners. It is also excellent preparation for our longer intensive retreats. Some of our intensive retreats are dedicated to a specific advanced Chan method, such as silent illumination or huatou (described below). On those retreats the teacher will give detailed instruction on how to practice the advanced method. Other retreats are called “Chan” intensives. On these retreats, participants may use whatever Chan method they are comfortable with, including the breath method, reciting the Buddha’s name, or the advanced methods, and the teacher will provide more general instruction on the use of the various methods. The above comes from the poem “Silent Illumination,” composed by Master Hongzhi Zhengjue, a 12th century lineage holder of the Caodong (Jap. Soto) school of Chan Buddhism. They describe the mind of someone who has left behind all attachment to thought and conceptualization. Doing this, they clearly know the nature of things through the direct experience of enlightenment. Master Hongzhi wrote many beautiful poems describing his deep insight. While today we can read these poems for inspiration and encouragement in our practice, they also function as guidelines for a method known as silent illumination. With this method, the aim is to develop and maintain relaxation, clarity and openness of mind. Ultimately, the goal is to see into the nature of the mind. One who has achieved this insight establishes a solid understanding and confidence of how to cultivate freedom and ease in dealing with all situations. Naturally, they know how to resolve their remaining vexations, and use wisdom and compassion in their daily lives. Lost to the Chan tradition for generations, this method was neither being taught in monasteries nor was it being openly taught to lay practitioners elsewhere. Only recently was it revived by Chan Master Sheng Yen (Shifu), who has systematized its use by drawing on the writings of Chan Master Hongzhi and the teachings of the Caodong school (traceable back to the Sixth Patriarch, Bodhidharma, and ultimately to the Buddha himself). Although silent illumination is similar to the Zen practice of “just sitting” (Jap. Shikantaza), there are subtle differences between the two. During this retreat you will learn how to practice silent illumination, starting with foundational methods to stabilize the mind, and gradually entering into what is known as the “method of no method”. “Huatou” in Chinese, literally means “the origin of words,” or that which precedes words and language. This refers to the state of the mind before the arising of conceptualization or, more precisely, before the arising of a single thought. 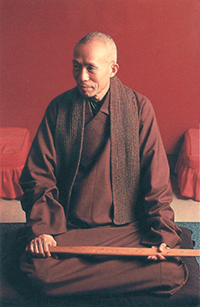 Thus, huatou is the source of all words and of all thoughts, the fundamental nature of the mind. But, it is also a method that we use to point directly at this mind while putting aside all other concerns. When we investigate huatou, we utilize questions such as: “What is my original face?” and “What is Wu?” These puzzling, seemingly illogical questions produce a deep sense of self-questioning which is called “the doubt sensation.” If you can succeed in penetrating this doubt, you will discover that which you have always had. As a result you’ll find real peace and ease within yourself and together with others, generating wisdom and compassion.